Bread Gulab Jamun is very easy to prepare and is a quick alternative to the regular gulab jamuns. You can use leftover bread also for this. These Jamuns prepared with Wheat Bread and milk are as delicious as gulab jamun made with mawa. 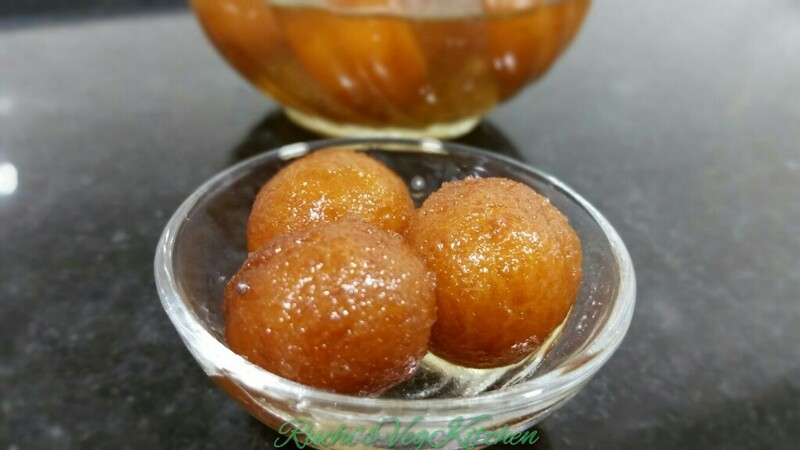 Gulab Jamun made with Mawa i already posted on blog.. On this Diwali Make easy and super yum Gulab Jamuns and Impress your loved ones. These Bread Gulab jamuns are so delicious that Until and unless you state that these gulab jamuns are made from Bread none can say.. I used Whole Wheat Bread for this recipe, one can use Regular Bread or Milk Bread. In this recipe i added a pinch of Cooking Soda, its purely optional. One can avoid it. But it gives very nice, silken and soft texture to Jamuns. One can use Rose Essence also for flavour, though i didn’t and yet its super tasty as saffron and cardamom will enhance the taste. One can also add Rose Petals to syrup. Allow Jamuns to soak in Sugar syrup at least for 5-6 hrs. In 2-3 hrs many says it works but i felt it tastes better after 5-6 hrs. 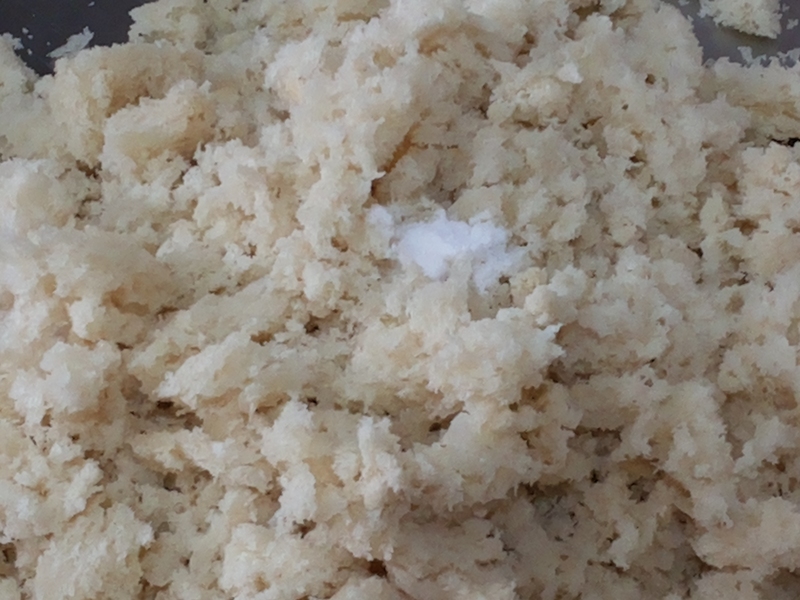 Don’t Use Salt Bread. Some breads to literally salt in taste, it can ruin the final taste. One can use Milk Powder too. It can give more taste. Don’t use very old bread it may give sour taste to jamuns. 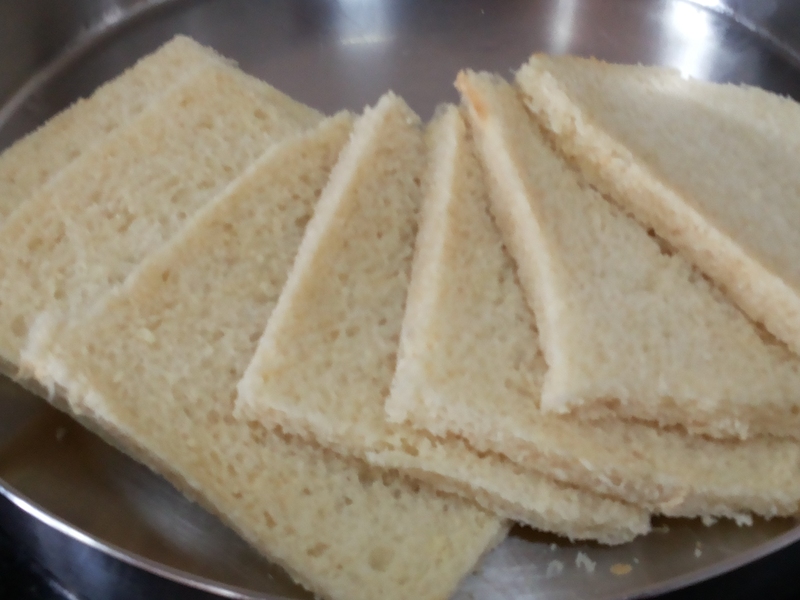 Take out the brown sides from Breads.. Crumble with fingures.. Add Cooking soda to it, and add Milk little by little. Don’t add at a time. Slowly add and mix it. 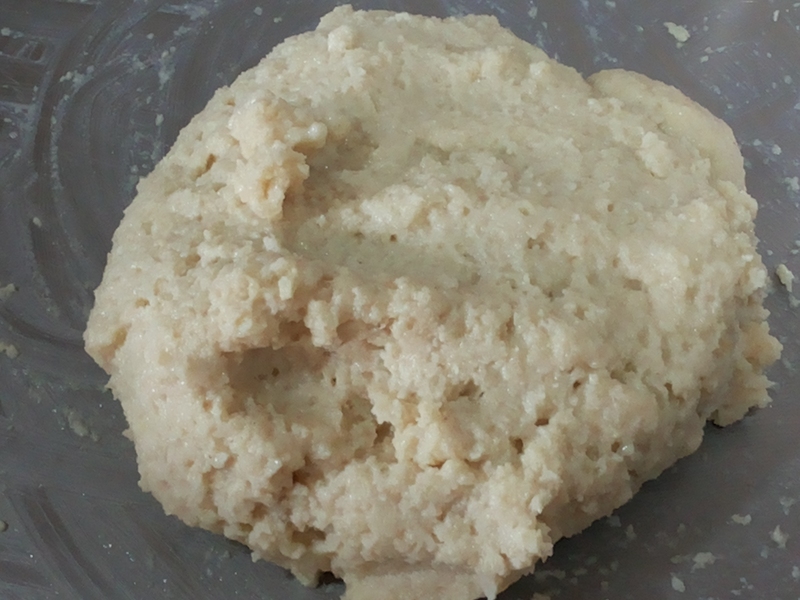 Knead like a dough. 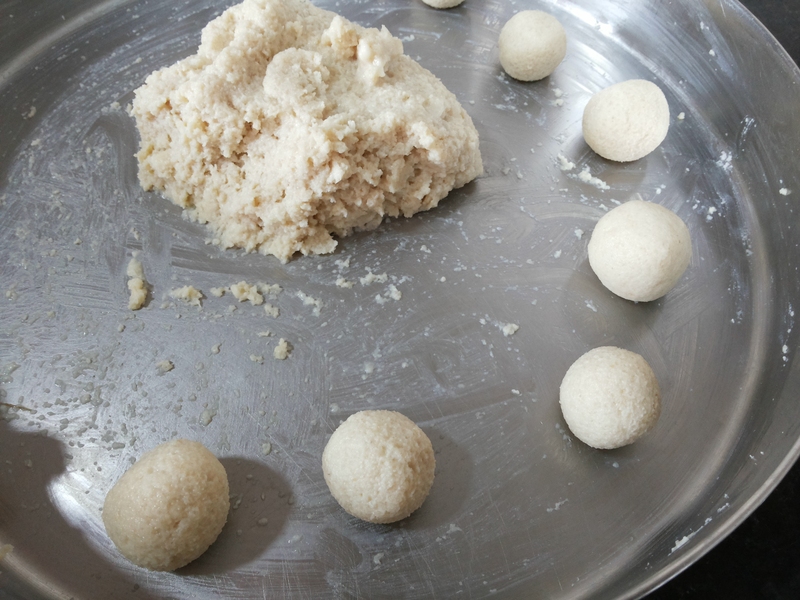 Grease your hands and make small balls with soft hands. One can stuff Pistachio in this Balls. 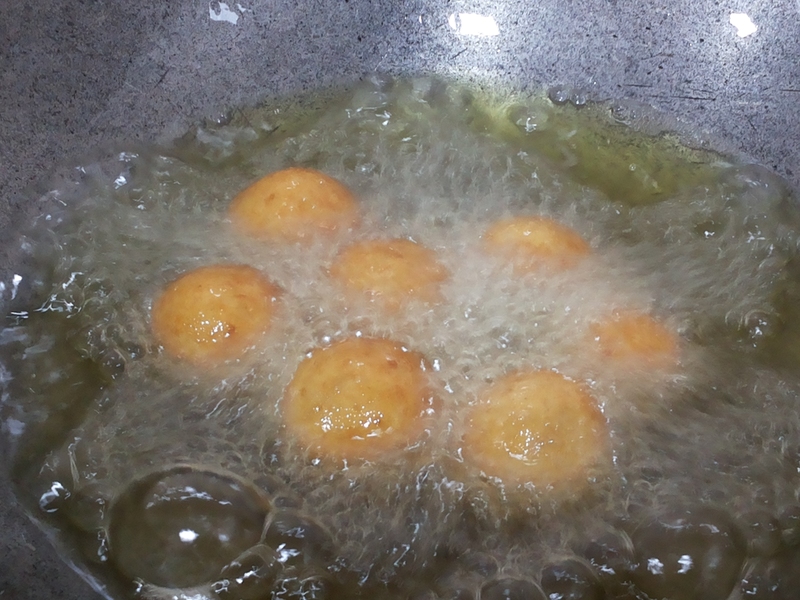 Now Fry these balls on slow to Medium flame in Ghee. 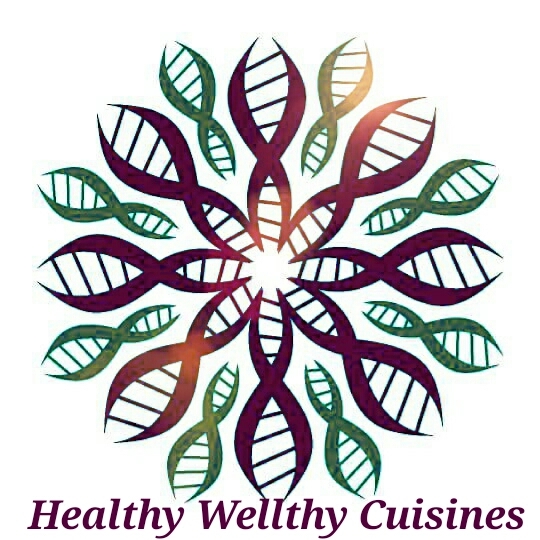 ( I love jamuns with flavour of Ghee, one can use oil also )If Ghee is Too hot and its high flame Jamuns may remain uncooked from center. so Fry on SLOW TO MEDIUM. Fry till Golden Brown. Dont fry it too dark. On other side , in a pan take Sugar add 1.5 cup water and cardamom powder to it . Keep flame slow till all sugar dilutes. 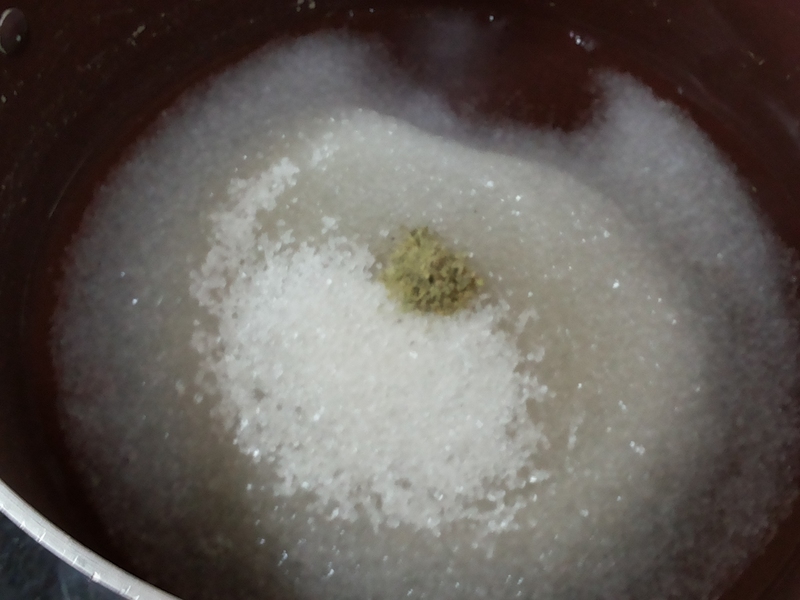 then on medium flame make 1 thread strong Syrup. Add saffron strands to it. Allow the Jamuns to soak sugar syrup nicely. At time of serving one can make it warm or serve chilled. 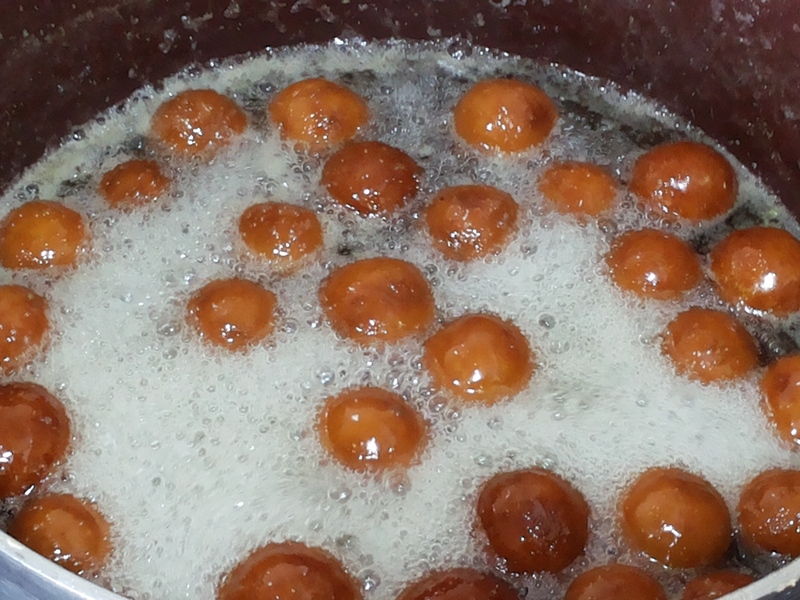 Hope all will love this instant sweet..
Wow bread gulab jamun looks so perfect and yummy. You can call it instant gulab jamun. You have made a great dessert with very few ingredients.